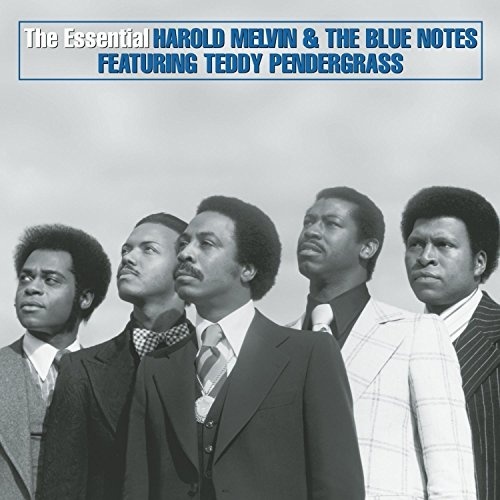 There has been no shortage of Harold Melvin & the Blue Notes compilations over the years, and the most recent prior to 2004's The Essential Harold Melvin & the Blue Notes was 2001's Ultimate Blue Notes, which was very good indeed, but it wasn't part of Sony/Legacy's Essential series, which was the label's flagship for hits collections. So, three years after Ultimate, they reconfigured the collection into Essential so it could be part of their successful series. Essential contains 14 of the 15 tracks from Ultimate -- the substitution is "Ebony Woman" for "Be for Real," a move most listeners wouldn't notice, since all the other big hits are here, including "The Love I Lost," "Don't Leave Me This Way," and "If You Don't Know Me By Now." The track sequencing may be different, but the collections are nearly identical in terms of tracks chosen, so they're nearly interchangeable for all practical purposes. Both are excellent overviews of one of the great Philly soul groups. If you already have Ultimate, there's no need to seek Essential out, and if you don't have either, either will suit your needs very well.